Our justice system cherishes the sanctity of the attorney – client privilege. What you tell your lawyer is privileged. This doctrine applies in many areas of law including whistleblower lawsuits brought under the False Claim Act. In a previous post, we wrote about lawyers becoming whistleblowers. 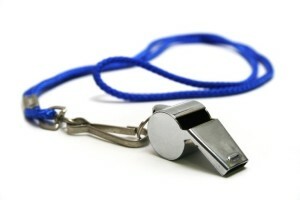 Can a lawyer be a whistleblower? The simple answer is yes but there are some big risks. First, the government may not be willing to act on their information. Second, the attorney -whistleblower runs the risk of being disbarred. This post discusses whether a court can compel a lawyer to testify or produce evidence against his or her client. But what you tell your lawyer is protected and can’t be used against you, right? The answer may surprise you. One of the few and narrow exceptions to the privilege is the crime fraud exception. If you and your lawyer are engaged in criminal behavior, what you tell your lawyer isn’t privileged. In the case of whistleblower claims, what a business tells its lawyers is almost always privileged. The crime fraud exception may apply, however, if the lawyer assists in the criminal behavior or the business uses the lawyer to help perpetrate the crime. Last month a federal appeals court upheld a decision that said a lawyer’s guidance and advice was discoverable despite the presumption of privilege. In that case, David Gorski was criminally prosecuted for falsely representing that his construction company was eligible for government contracts as a Service Disabled Veteran Owned Small Business (SDVOSB). Under that program, three percent of certain government contracts are set aside for small businesses owned by disable vets. Congress passed the SDVOSB law to help returning veterans with disabilities find work. Prosecutors say that Gorski was knowingly violating the law and was not eligible for these contracts. The regulations for the program were modified in February of 2010. Gorski hired a lawyer to help him restructure his business in order to gain government contracts. The restructuring was done after the new regulations were in place, however. That is when things get tricky. Prosecutors say that Gorski, with the help of his lawyer, backdated critical documents. The trial court concluded that Gorski was engaged in a fraud but said his communications with his personal attorney were not discoverable because the lawyer had no role in making false statements to the government. On appeal, a three judge appeals court panel in Boston disagreed. They ruled that the communications between Gorski and his lawyers fell into the crime fraud exception despite the lawyer’s lack of involvement in making the false statements. The court looked to Gorski’s intent which they say was to perpetrate a fraud on the government. While a good ruling for whistleblowers and prosecutors, the decision does weaken the attorney client privilege doctrine. Whistleblowers can argue in future cases that legal advice sought by companies at the time of their alleged fraud is discoverable. As noted above, this was a criminal case. Cases finding an exception to the attorney – client privilege are rare and are very fact specific. The False Claims Act pays whistleblowers a percentage of whatever the government collects from wrongdoers. Whistleblowers must have inside or “original source” information about fraud involving a federal program or funds in order to file a lawsuit and collect an award. Some of the juiciest and damning information useful in proving guilt may be in the possession of the company’s lawyers. As this case notes, obtaining that information or even using it in court is difficult but possible.